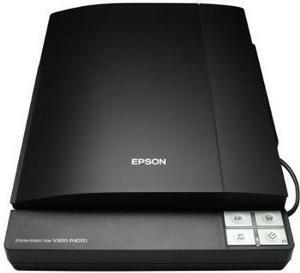 Here follows a quick description of getting an Epson Perfection V300Photo running in Ubuntu 8.10 Intrepid. Firstly, the scanner has sane support but requires a ‘non-free’ (as in speech) driver element. Add epkowa to the list of drivers found there. You should now be able to use Xsane or any program which calls Xsane (such as GIMP) for scanning. I’ll readily admit, it’s a really clunky installation process. It seems largely Epson’s fault. The do provide the Linux driver but it’s a binary and doesn’t appear to be licenced in a way which would enable it to be bundled with a Linux distribution. It would either require Epson to release the sourcecode for their V300 driver or for someone to successfully reverse-engineer the scanner software interface for this to become easier ie: direct sane support.